Are birds a real danger? People who live in dwelling zones may disagree but those who work on farms, in waste disposal or at and near airports, will definitely call them bitter enemies. That’s why scarecrows are important for farming regions – they scare off other birds. 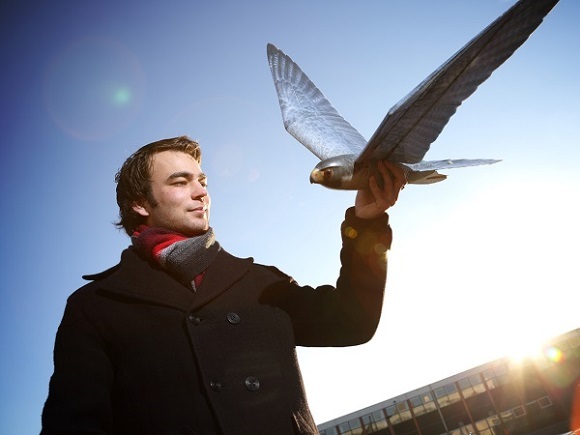 Now a group of Dutch students and engineers are trying to create a 3D printed flying scaring construction resembling scarecrows that could be efficient for frightening birds. They represent a 3D printed construction that resembles a bird of prey called “Robird”. The outstanding intellectual that is responsible for developing such a product is Nico Nijenhuis from Holland, a Technical University of Twente graduate. These robotic hawks are made especially to trick all kinds of hungry birds flying over airports, waste dumps and other places, pretending as if they were going to attack those little birds. Pilot studies have shown that birds can recognize some places as regions for birds of prey, thus they will try to avoid such areas. Nico explained that birds could be extremely dangerous for aviation safety, whereas Robirds are environmentally friendly concerning various problems related to birds. Nijenhuis began his business called Clear Flight Solutions, and now expects to find clients in waste management industry and aviation. 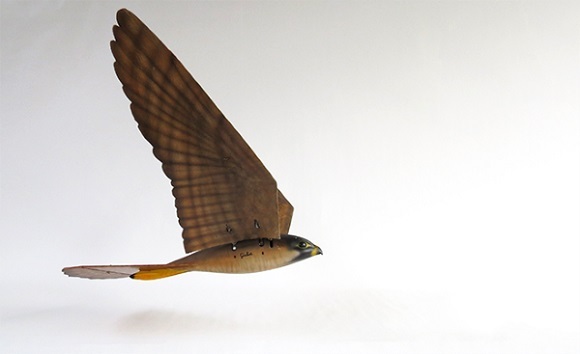 During his flights Peregrine Falcon and Eagle replicas can now be remote controlled; he expects that by the end of the year it will be easy for him to accomplish absolutely autonomous birds. Such an attempt came up to him after his thesis for in fluid dynamics and applied physics. It was his professor who inspired and supported his exploration and development of a realistic and working flying bird pattern. The most difficult part to mimic was the flapping wings. They say that it’s difficult to understand and imagine the flapping-wing flight from the scientific point of view. They can make numerous tests, count the forces and arrive at building a plane that could take anyone on a trip around the world. However, as soon as the wings start moving, they face a problem with a complex three-dimensional flow. So it’s very difficult to imagine and to repeat what a bird really does. Nevertheless, they never gave up the idea to create a flight looking real. Instead of having the wings moving up and down, Nijenhuis created foam wings that would change their shape up and down when flapping. When such wings were combined with a wide variety of sensors and the necessary stabilization software, he managed to create robobirds. These Clear Flight Solutions can be a success with such realistically looking movements. As it is easy for humans to tell a robot from a real man, so can birds recognize a bird of prey or another flying object. That’s why a robot scarecrow has to look like a real bird and also to fly like it, which is even more important. The Clear Flight team now consists of Nijenhuis, two researchers, who specialize in mechatronics and robotics, and three master students. The team really counts on 3D printers to create these flying machines. The 3D printed bodies of such birds are made of nylon and glass-fiber, that’s why the birds aren’t heavy but solid. 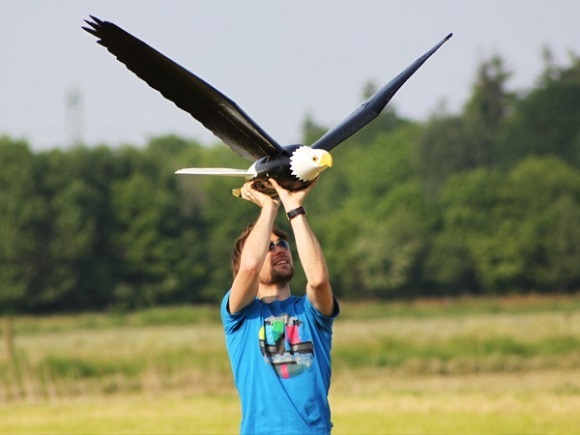 It will be very difficult to break such a bird, even if the crash into the ground at a speed of 50 km/h. The colours used for such birds look natural. These birds are on a trial study, but they already look promising and show good results. 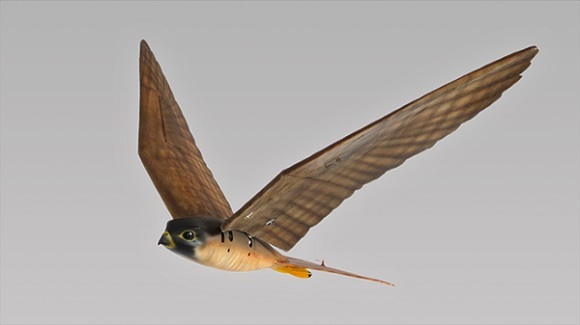 The birds are radio controlled and can fly at a speed about 50 km/h and it seems like they’re good at what they’re doing. Clear Flight team noticed that there has already been a 75 per cent decrease in wild birds’ visits. However we’ll see the efficiency of such a system only some time later.